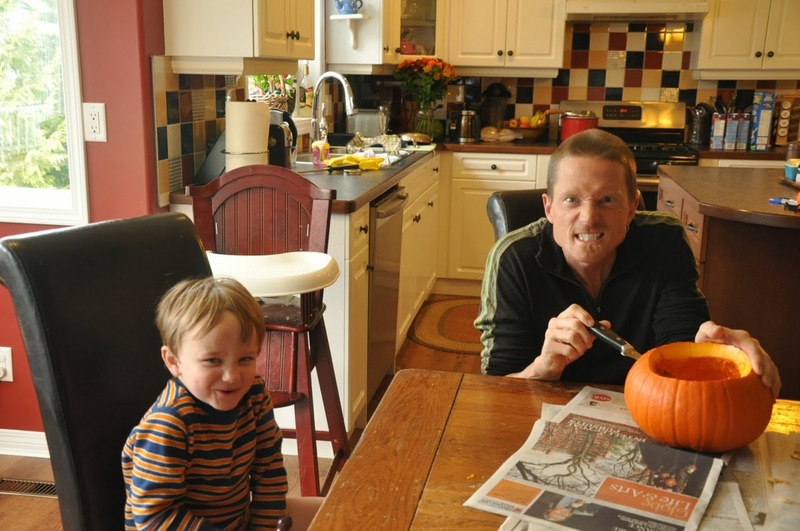 halloween was seriously fun this year. 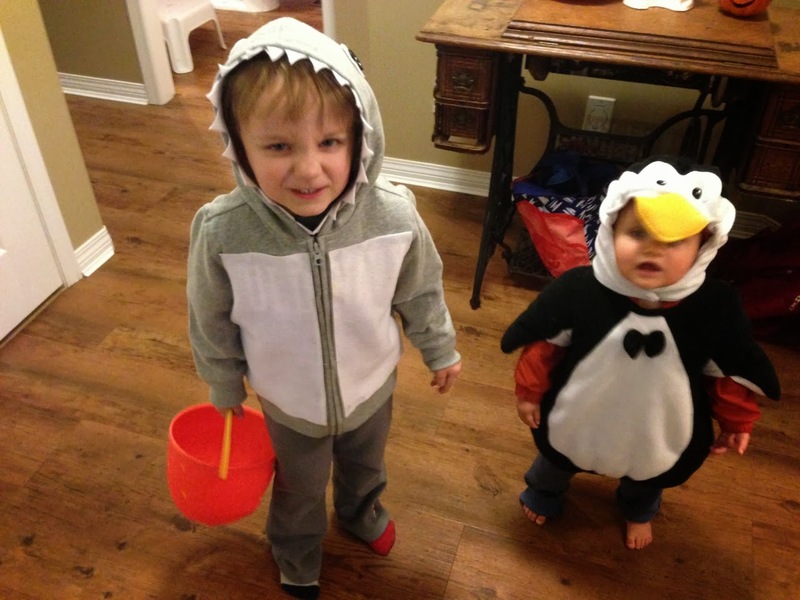 from early on ty knew he wanted to be a shark, and our friend jody has possibly permanently lent us a little penguin costume, so it all worked out pretty easy. 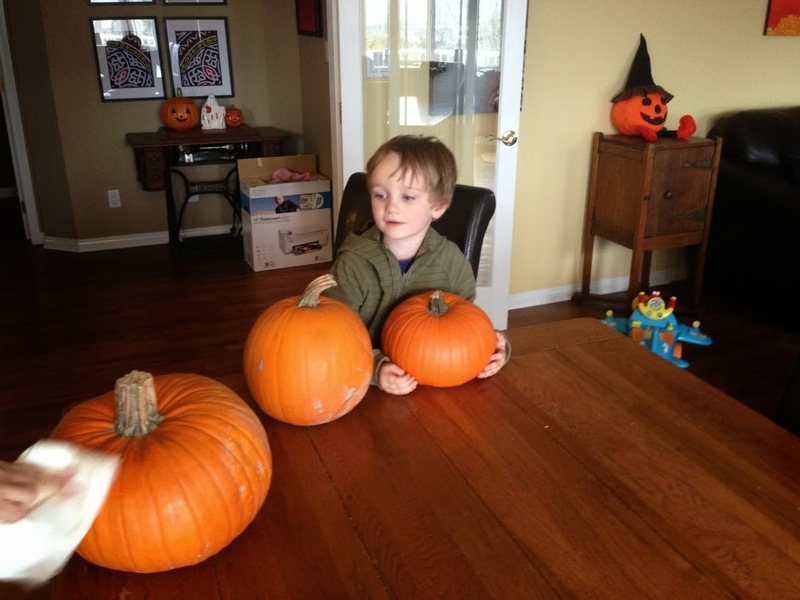 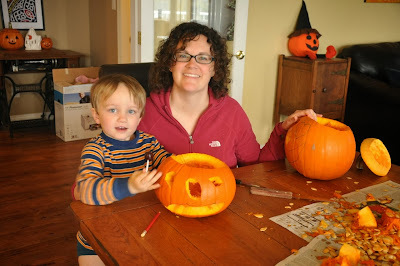 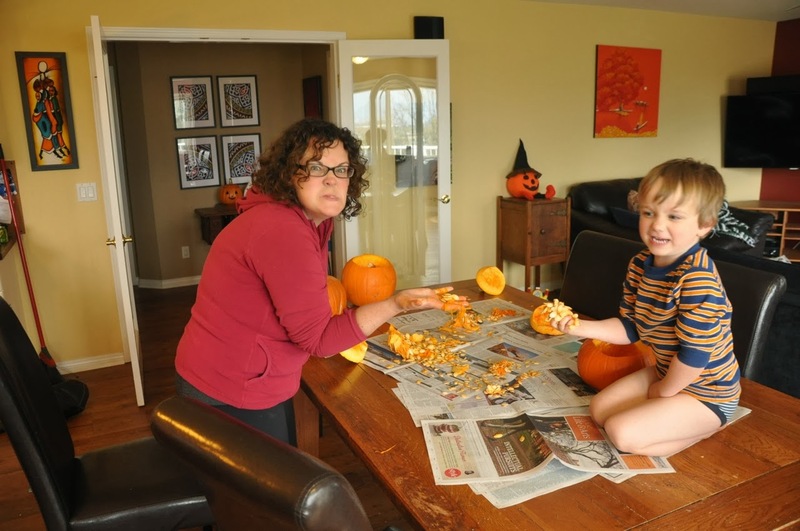 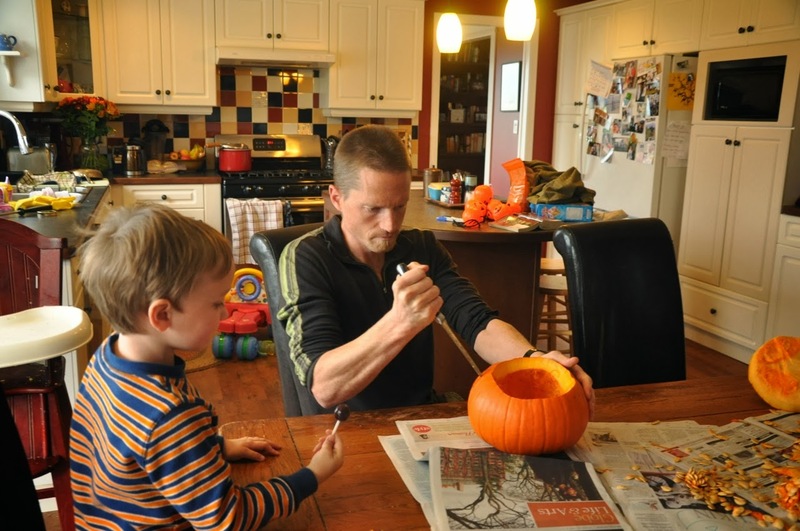 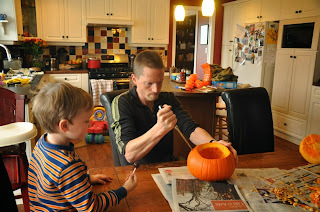 ty was very excited to carve pumpkins and designed his own (i cut it). 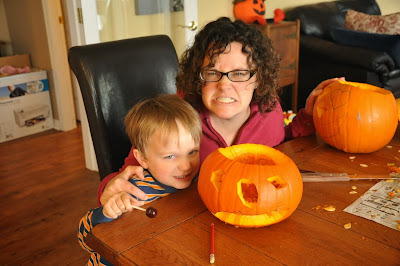 i think these were supposed to be scary faces. speaking of scary faces, check out ty's sweet shark expression. and zeke appears appropriately hapless. 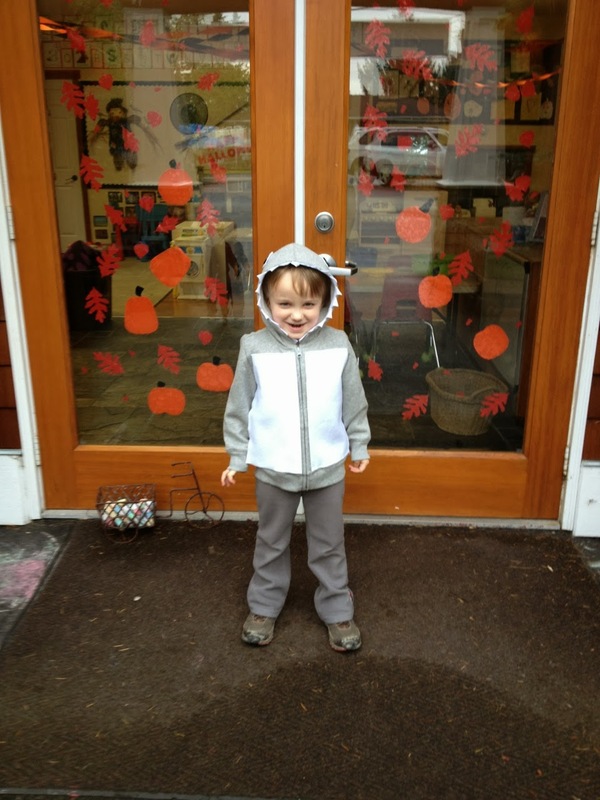 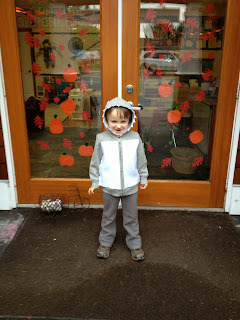 kylie made ty's costume by gluing white felt to a grey hoody and adding a dorsal fin. ty's still wearing it. 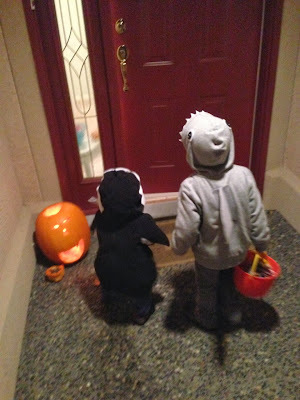 we walked up and down our own street, which was about right. ty was pretty tired coming up the hill at the end of the night. 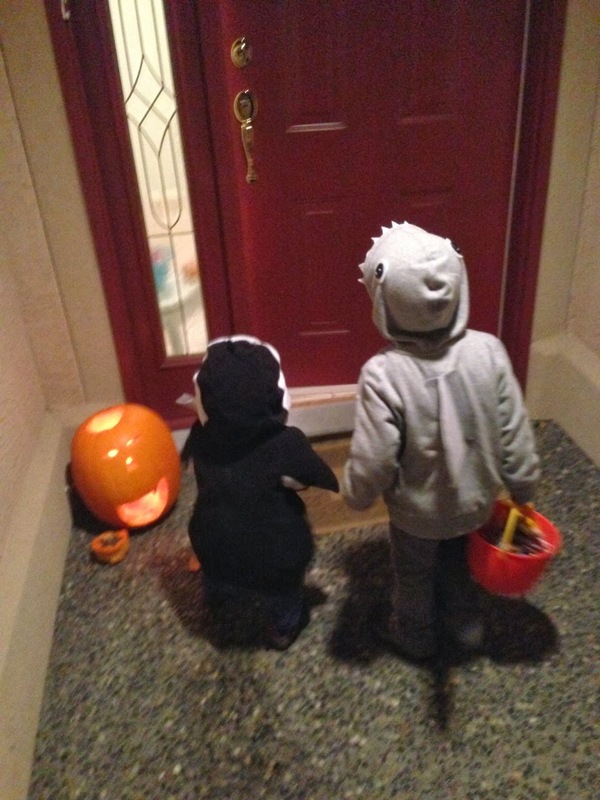 they were super cute ringing doorbells. 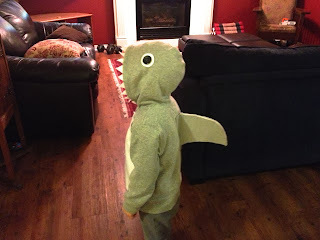 zeke kept advancing right on into people's homes. 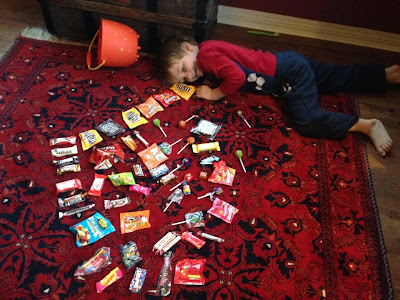 that evening and the following day featured a lot of candy sorting, and transportation by truck across the carpet. 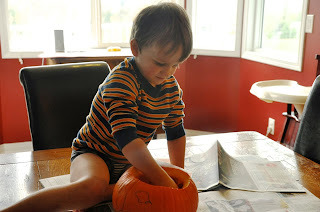 watching brought back a lot of memories. a fun halloween.